Mold is around us all of the time and for the most part is harmless. 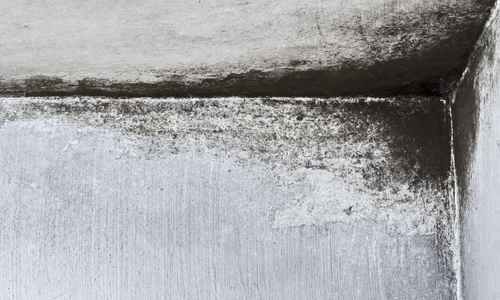 Problems begin when there is excessive or persistent water in an indoor environment causing visible mold growth. Because of the health risks it is important to remediate mold properly. Working with WDR you can trust that we will do the job the right way. From the onset we will work with a certified Hygienist to outline the mitigation process. The health and safety of our clients and our team is very important therefore we are stringent in following the guidelines published by the IICRC and the EPA. For this reason as well, it is important to verify the credentials of any professional you work with. Our job is not only to mitigate the mold but also repair the water problem and we have the knowledge, experience as well as the equipment to do the job right. "I’d like to express my thanks for the *simple* remodel job on our property. The project manager did an outstanding job on orchestrating the job, making sure the job was done correct, and cleaning up both during and after the job was finished. Once again, to WDR and all the subcontractors, thanks again!" "Mr. Walton, Not many businesses would even think about the work you did at my home, let alone follow through and complete it. Thank you seems so inadequate considering what you did for me. Your thoughtfulness and expertise are greatly appreciated. Thank you again." "Excellent work. The project manager was very communicative and accessible. The team was professional, courteous, and on-time. Overall, very pleased with the work." "My husband and I would like to take this opportunity to let you know how happy we are to have chosen WDR for the remodeling project in our home. We have had some pretty crummy experiences with contractors and were a bit apprehensive to hire another contractor, but we were pleasantly surprised with WDR. We cannot offer enough praise to your project managers! They made this experience delightful and we will definitely call WDR for our future projects. Your project managers were very professional, but friendly, and along with the timeliness and quality of work, we would not go anywhere else! Thanks again for making this a pleasant experience." "Thank you all for such amazing work and your men were the most respectful and kind people to work with. My house looks beautiful." "I am very pleased with the work from WDR. Everyone was great to work with. They took care of everything and I didn’t have to worry about anything. I would highly recommend WDR to anyone. What a great company and a great bunch of guys to work with. Thanks a lot guys, Great Job!!!"